The Warhammer universe is not exactly known for being easy to understand. It’s filled with quite a lot of backstory, having been constantly changed and shaped over the past 3 decades. On top of that, often times anyone who tries to just pick up something set in the universe is bombarded by words that probably don’t make a lot of sense. 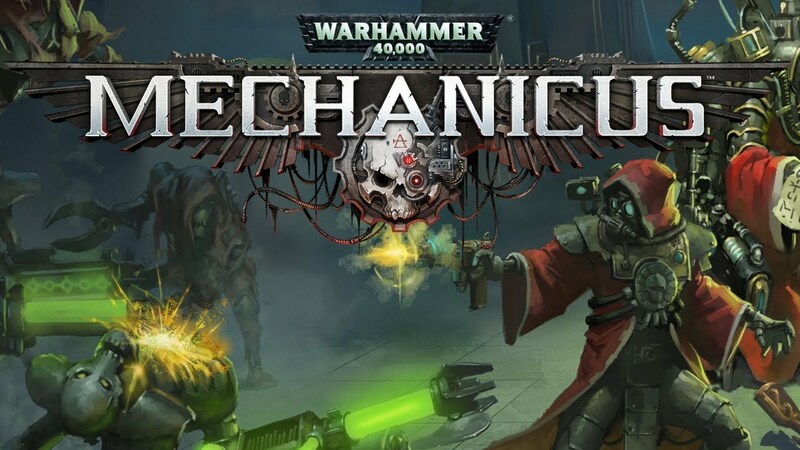 It is perhaps something of a shock then that Warhammer 40,000: Mechanicus actually does a decent job of introducing its world and characters. Having said that, it doesn’t stop the game’s story from sounding it’s set during the middle of some sort of ancient Roman play. Warhammer 40,000: Mechanicus is set in the Warhammer 40K universe, a dark science fiction dystopia constantly filled with war between factions effectively driven by various extreme religious beliefs. Mechanicus follows the Adeptus Mechanicus, a group of human beings who follow ‘The Machine God’ and slowly but surely replace their human body parts with machines. All of this is pretty well explained in the beginning of the game, which is a good thing because, otherwise, this whole thing might sound completely mental. 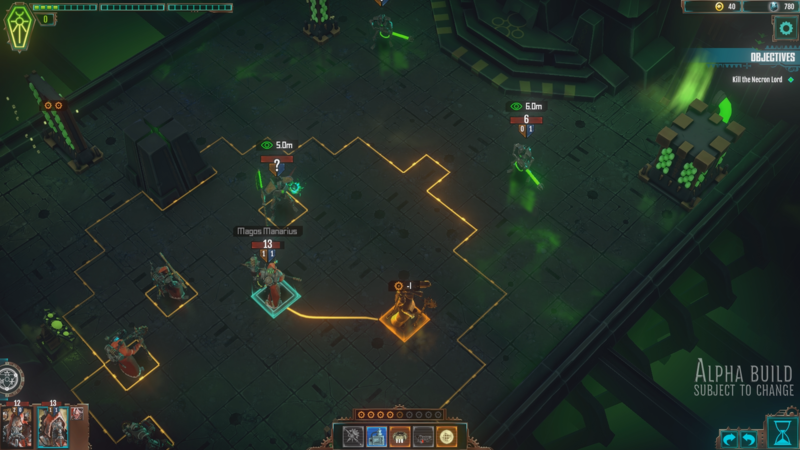 Mechanicus is a strategy game in the same vein as the Final Fantasy Tactics and XCOM series developed by Bulwark Studios and published by Kasedo Games. You take command of a crack squad of machine-enhanced soldiers with a religious fervour to destroy anything even remotely alien as they investigate the disappearance of a member of their order on a supposedly uninhabited planet. 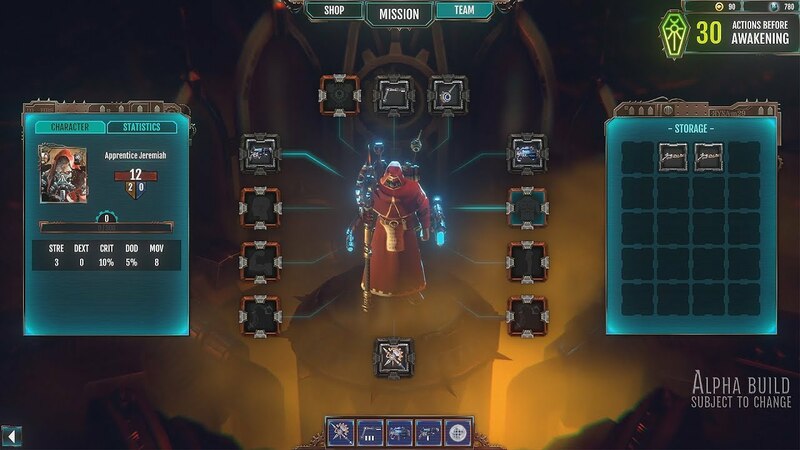 As mentioned before, Mechanicus is a turn-based strategy game built on a grid system, similar to many other strategy games of the past few decades. You move your soldiers around the battlefield and aim at enemies using the tiny squares that cover every inch of the field. Your units have different move distances, different attacks and abilities that can be employed to destroy your opponents for ultimate victory. Between battles you control your units as they explore the ruins of the planet, reacting to different situations as they arise and making decisions based on the advice of your different commanders. They usually have opposing agendas and will try to push you towards their specific viewpoint. For example, one wants you to study alien inscriptions and technology, while the other thinks to learn from them is blasphemy and demands that you destroy all the information to keep yourself pure. The choices you make in Mechanicus range from which missions to go on to how you respond to coming across different things in the ruins you’re exploring. Most of the time you’re asked to make a judgement call about some sort of artefact or being you come across, being given information and choosing how to proceed. There are some situations that are completely random, however. Occasionally, you’ll come across glyphs and have to pick one of two completely meaningless symbols, one of which will damage you in some way, and the other will benefit you somehow. It’s honestly a complete crap-shoot, and it really just detracts from the experience. Visually, the segments between fights are less than interesting. Because you’re on your space ship above the planet, commanding all your forces down below, all of the movement segments take place on a bunch of glowing squares and rectangles. That isn’t to say that the gameplay during these moments isn’t good, but it does get boring to look at after a while. The battlegrounds are a fair bit bette, they actually represent the tombs of ancient aliens, which is what they’re supposed to be, even if they do also suffer from getting a little samey after a while. In and of itself, the combat in Mechanicus isn’t anything special. 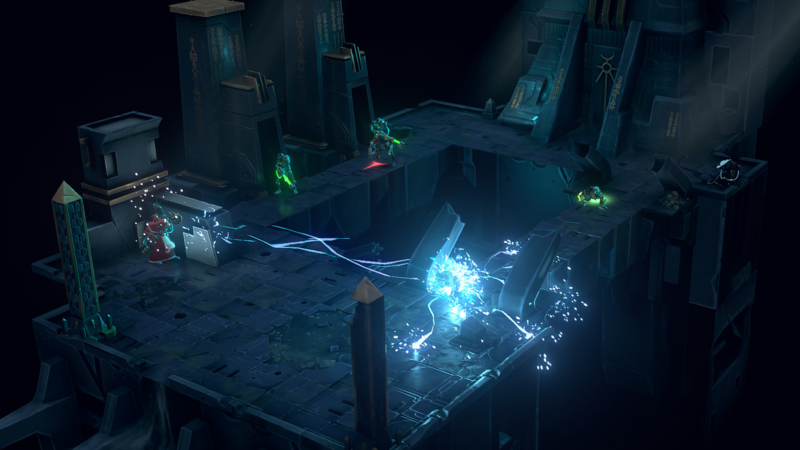 It follows a lot of the same beats and many of the same mechanics as games like XCOM, although it does bring one or two new things to the table. Firstly, your units are split into two types: your tech priests and ‘the rest’. ‘The rest’ basically act as cannon fodder, soaking up damage and chipping away at enemy health until your main force can get into position. 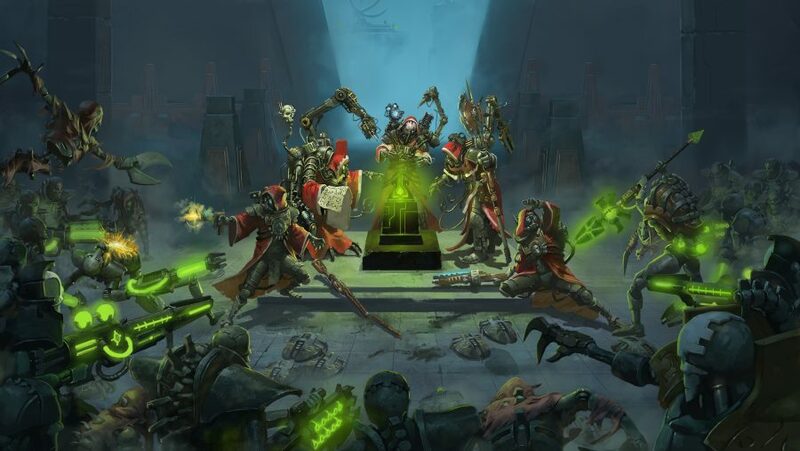 Your tech-priests are heavily customisable warriors who can deal decent damage and also unlock a variety of support abilities, and they are relied on for doing most of the heavy work. The use of cannon fodder is definitely interesting and makes for a decent change of pace from similar games where your characters will be permanently lost when killed and must be carefully protected at all costs. The other new-ish feature is a floating skull that you can use to see the stats of your enemies. Honestly, this one is a little baffling, all it really does is add an extra step between you and killing your enemies. It’s also not all that necessary if you’re in a pretty sure position, and it can be safely ignored if you’re fighting a standard enemy that you’re already familiar with. Honestly, most of the time you’ll probably just stop doing it until something fails to die properly or at least until you unlock the upgrade that makes the floating skull attack enemies. 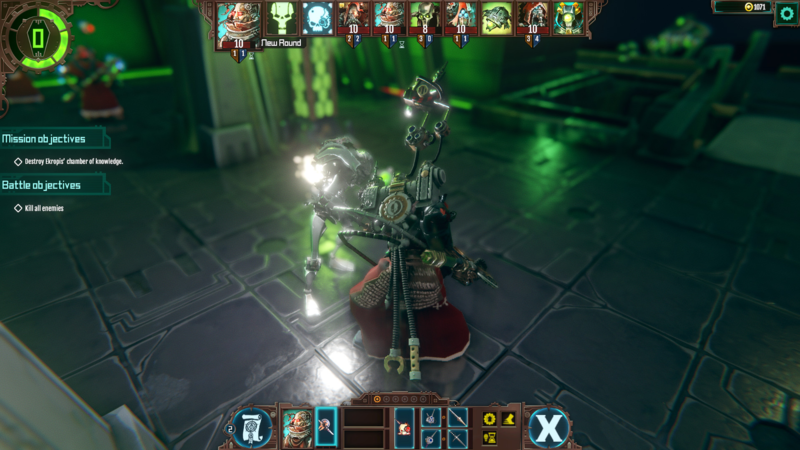 While the combat in Mechanicus has its good and bad points, it isn’t really the element that makes the game shine, instead it is what happens between missions that really stands out. Between each mission you apply upgrades to your main group of tech-priests, putting points into six different upgrade paths that help focus them into a variety of playstyles. There’s a combat-focused tree, a support tree, a healing tree and a few other more technical trees that give you access to strange powers and abilities. You also unlock new machine body parts that give you stat and movement bonuses. The customisation is a hell of a lot of fun, especially since you can also change the names of your characters and go through the whole thing with a character called ‘Blingus McDungus’, if you like. A lot of your different specialisation choices will also be limited by which missions you complete too. As your commanders bring different missions to your attention, you have to decide which ones to do, each one offering different rewards, like new troops and weapons that can dramatically affect the way that you formulate battle plans. The final key element that really makes Mechanicus a successful game is the storyline. The game follows a group of characters who are, at the very least, a little obtuse to get into. It would be nothing short of a miracle to make this group of characters interesting to someone who wasn’t already at least vaguely interested in them or their world. Fortunately, somehow Mechanicus has managed to pull it off. 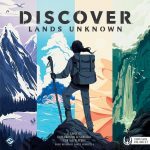 The combination of exploring an unknown world with the central struggle between pragmatism and faith woven throughout it actually makes for a powerful piece of storytelling. Even if you’ve never even heard of the Adeptus Mechanicus before, you’ll probably be at least a little intrigued by the end if you even have a passing fancy for dark science fiction stories. Overall, Warhammer 40,000: Mechanicus managed to come out very much in credit. 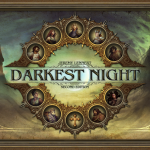 It might have a few niggling problems and feature a brand of gameplay that has been slightly overplayed in strategy circles, but it includes a very well written dark fantasy story, an interesting struggle between what the characters believe and what they need and enough customisation to keep you playing till the cows come home. The only thing that stops this game from being perfect is the fact that it is pretty damn short, leaving you wanting more once it’s over, and with no way to play old missions again or start from the beginning with your customised characters, it does trend towards the anti-climactic. Warhammer 40,000: Mechanicus does the impossible of making the Adeptus Mechanicus not only understandable but downright interesting. It is quite unexpected to come across such an involving story in a strategy game with central gameplay so derivative of other strategy titles. Despite any similarity the combat might bare to other games out there, Mechanicus has a lot going for it besides how the fighting works. Exploring ruins, customising units, picking sides amongst your supporting cast, it all goes together to create an unrivaled strategy title, possibly the best we've had this year. If only we could get it to last a bit longer, then it would be perfect.